Earthborn Holistic dog food is produced by Midwestern Pet Foods, Inc., headquartered in Evansville, Indiana. Midwestern Pet Foods is a 4th-generation family-owned company. Earthborn makes both dog and cat foods. They promote an earth-conscious, environmentally-friendly attitude on their web site. Their dog foods include 10 kibbles – six of which are grain free; and five moist dinners in stews and gravies. 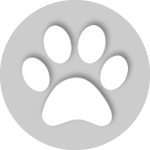 Midwestern Pet Foods is the parent company of Earthborn Holistic pet food, ProPac, ProPac Ultimates, and Sportmix. The company was founded in 1926. It operates as a subsidiary of Nunn Milling Company, Inc. Earthborn’s dry foods are made at the company’s facilities in Monmouth, Illinois. Midwestern has three manufacturing plants for making dry foods in the Midwest. Their canned cat food and dog foods are produced in a human-grade facility by USPet Nutrition, a division of Chicken of the Sea. 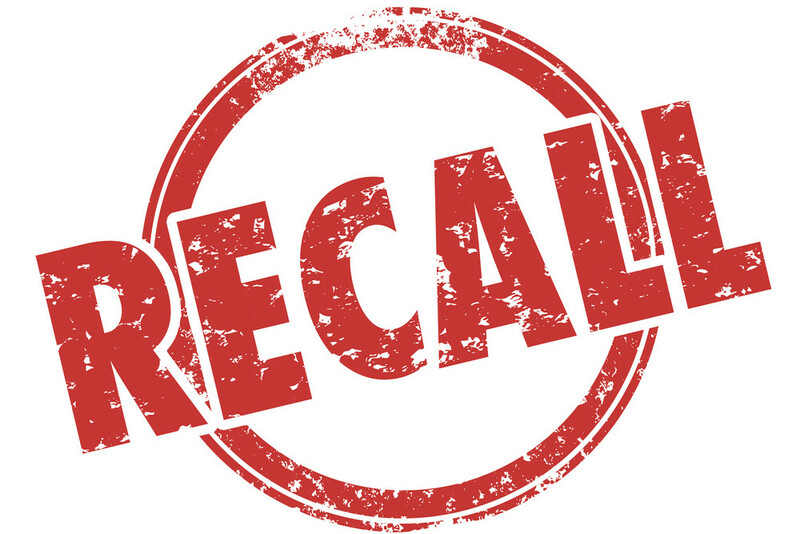 Earthborn Holistic and Midwestern Pet Foods have never had a recall. Not only do they say this on their web site, but we searched the AVMA and FDA databases. 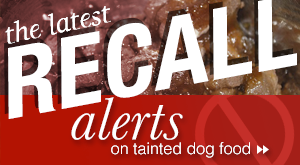 They have not had a recall or withdrawal of any of their pet foods. Earthborn Holistic has two kibble product lines. One line is their “Natural” line. This food does not have any corn, wheat, or soy. All ingredients are ethoxyquin-free. According to Midwestern Pet Foods, “We source all ingredients from US suppliers if ingredients are available, grown or produced in the US. All ingredients in Earthborn Holistic dry pet food are grown or produced in the US except for lamb meal which comes from Australia or New Zealand and flaxseed which comes from Canada.” The Natural product line uses meat proteins such as chicken meal and whitefish meal. Grains include oatmeal, barley, and rye flour. Other carb sources include potatoes and sweet potatoes. 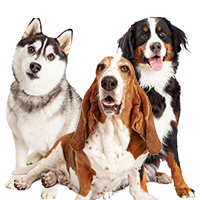 The foods in the Natural product line are for adult dogs with chicken meal, adult dogs with whitefish meal, a puppy formula, and a formula for small breeds. 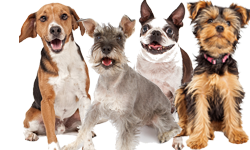 The adult dog formulas have 22 percent crude protein and 12 percent crude fat. They each have 410-415 calories per cup in terms of Metabolizable Energy. 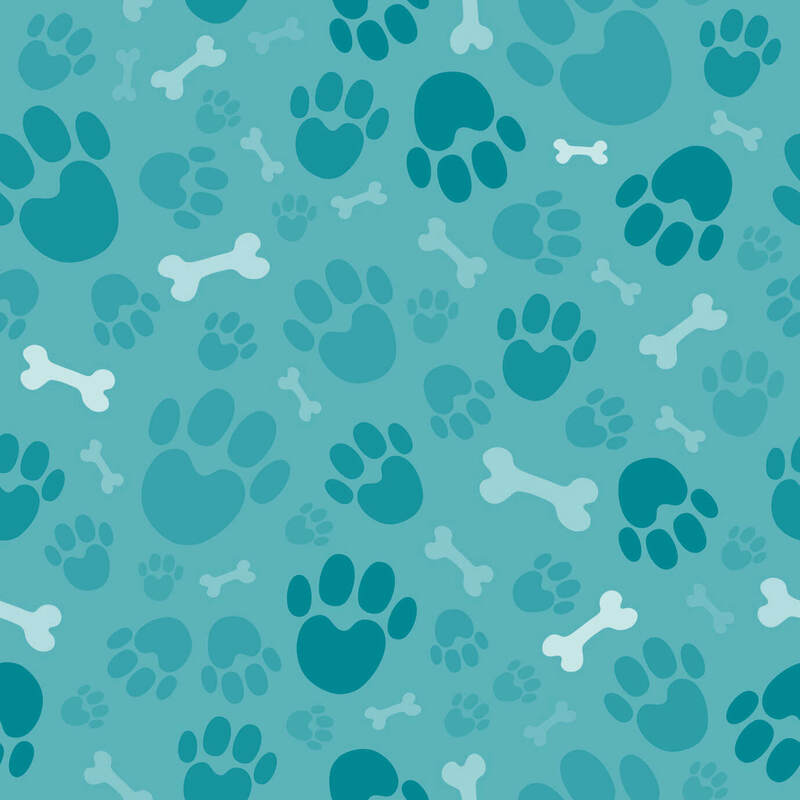 The puppy formula has 28 percent crude protein and 20 percent crude fat. The calcium: phosphorus ratio is 1.30 : 1.10 percent. The food has 445 calories. It uses the same proteins and grains as the other foods in the product line. The food for small breeds has 28 percent crude protein and 17 percent crude fat. It has 420 calories per cup. 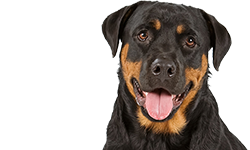 The carbohydrate figures for these food provided by the company are moderate to high compared to other dog foods. Earthborn also has a product line of natural grain free dog foods with six foods. These foods include a meat protein-rich food with 38 percent crude protein and 20 percent crude fat (their Primitive formula); a herring-based food that is 32/18; a bison-based food that is 34/18; a lamb-based food that is 26/15; a large breed formula that is 26/13; and a weight management formula that is 25 percent crude protein, 7 percent crude fat, and 9 percent crude fiber. The calories per cup in this food are 325. Earthborn also makes five moist grain free foods in stew and gravy form. Many people will like these foods based on their protein and fat percentages, as well as their ingredients. Earthborn Holistic is not well-known in some parts of the U.S. but they should become better known in the future. Tractor Supply Company now carries the brand. Most dogs can eat turkey and chicken without any problems but if your dog has allergies or food intolerances to these ingredients, you can check out other Earthborn foods such as their Coastal Catch formula. It uses several kinds of fish for protein instead of poultry. Turkey is about 70 percent protein. It’s a good source of Riboflavin and Phosphorus, and a very good source of Selenium. Turkey meal has already had most of the moisture removed so it is a concentrated form of turkey protein. People debate whether chicken meal or chicken is better but they are both good ingredients. Chicken meal has had most of the moisture and fat removed so it is mostly protein from the chicken. Chicken is about 80 percent protein and 20 percent fat. It’s a good source of Vitamin B6 and Phosphorus, and a very good source of Niacin and Selenium and omega-6 fatty acid. Potatoes are the third ingredient in the food. This is a grain free dog food but it still contains carbs. Dogs don’t need carbohydrates from a nutritional standpoint but they help a dog feel more satisfied between meals. They also affect how fast a dog digests the meal. Potatoes are fine for most dogs but they are high in carbohydrates. They are 7 percent protein, 1 percent fat, and 92 percent carbohydrates. Many dog food companies are using them as a substitute for grains. Some dogs can have some allergy issues with them. They are also relatively high on the glycemic index if you need to be concerned about your dog’s blood sugar levels. We have noticed that some pet food companies are advertising that their foods are “potato free.” As far as we know, there is nothing particularly wrong or harmful with potatoes in dog food. Not as long as they are not a primary ingredient. Unless your dog is diabetic or a young Toy breed puppy where hypoglycemia might be a concern, potatoes and the glycemic index should not be an issue. Just to make sure, we consulted with a veterinarian who has been making meals for her own dogs for years. She agreed and couldn’t think of any reason why a dog food company or dog owners would be particularly concerned about potatoes in dog food. Potatoes do have lots of carbs but so do some other grain substitutes. Ingredients interact with each other. The overall nutrition of the dog food and how it affects your dog is what really matters. Potatoes are not poisonous and won’t hurt your dog as long as you don’t feed your dog any potato skins with green spots on them which indicate the presence of solanine. You can read more about the nightshade family and arthritis here and here. The fourth ingredient in this food is chicken fat (preserved with mixed tocopherols). Chicken fat is high in omega-3 fatty acids and extremely high in omega-6 fatty acids. Dogs who use up lots of energy and some older dogs who have trouble holding their weight can benefit from chicken fat in their diet. Since this is an adult dog food, the fatty acids should be good for a dog’s skin and coat, as well as his energy levels. The fifth ingredient is whitefish meal. Whitefish is a general term for several different kinds of small white fish that are used in dog foods. Whitefish is about 61 percent protein and 39 percent fat. It’s a good source of Niacin, Vitamin B6, Vitamin B12, Phosphorus and Selenium. It’s also a very good source of omega-3 fatty acid. Other important ingredients in Earthborn Holistic Primitive Natural Dog Food include dried egg products which increase the protein in the food. The food also has tomato pomace (a fiber source), blueberry fiber, and cranberry fiber. All of these fibers help digestion. Apples also provide fiber, as well as vitamins and minerals. Blueberries and cranberries are good antioxidants. Carrots are another good fiber source and a source of beta-carotene. The food also contains added beta-carotene. Methionine is an essential amino acid that is often added to pet foods if the carbs and/or plant proteins in the food are on the high side compared to the meat protein. It can also make pet foods taste better. The food has some other amino acids supplements: L-Lysine, L-Carnitine, and Taurine. L-Lysine is an essential amino acid in mammals. It’s a building block of protein. It also plays a major role in calcium absorption and the body’s production of hormones, enzymes, and antibodies. L-carnitine comes from the amino acids lysine and methionine. It helps the body turn fat into energy, among other things. It’s often added to weight control dog foods or to foods that contain a lot of carbohydrates. 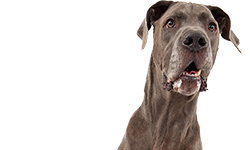 Taurine is an amino acid that is often added to dog foods today to prevent a deficiency that could cause heart problems and other health problems in some dogs. We note the presence of Rosemary Extract which is a natural preservative. If you have a dog who has seizures, you should avoid foods with rosemary. The food also has some probiotics/fermentation products to help with digestion. The food contains 445 calories per cup. This is a moderately rich dog food. Earthborn Holistic® Primitive NaturalTM is formulated to meet the nutritional levels established by the Association of American Feed Control Officials (AAFCO) Dog Food Nutrient Profiles for all life stages. The dry matter basis figures for this food are: 42.2 percent protein; 22.2 percent fat; 2.8 percent fiber; and 23.9 percent carbohydrates. We think this is one of the best Earthborn grain free formulas. We like the protein and fat percentages, though if higher fat content bothers your dog, you will need to find a formula with less fat. We also like the ingredients in the food. Most of the other Earthborn grain free formulas rely heavily on peas, pea protein, and tapioca, as well as pea fiber. We think this food stands out. However, if for some reason your dog cannot eat potatoes, you probably won’t like any of these foods. This food is not a substitute for Orijen or EVO which have enormous amounts of meat protein. However, it doesn’t cost as much as those foods do either. It’s a good grain free dog food at a more modest price. Where can you buy Earthborn dog food? You can buy Earthborn dog foods nationwide at pet stores and at Tractor Supply Company stores. 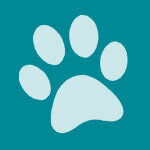 You can also buy it online from many pet food retailers. Earthborn Holistic dog food isn’t currently well-known among dog owners but that should change in the future. 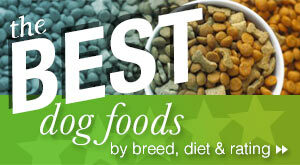 Many of these foods have good ingredients and good nutrition for dogs. The company has been family-owned for four generations and they have never had a recall. We like some of the foods better than others, but we think that many dog owners will like Earthborn if they check it out. I have a long haired Chihuahua that, well needless to say doesn’t know he’s a….”dare I say” dog. 😉 He is 8yrs and more finicky than any of my kids every were. We switched to Pro Pac after losing our female short haired to tainted dog food. Don’t give it to your yorkie. They have harder time digesting food. My yorkie has had to go to vet for two surgeries regarding bladder stones and UTIs since he’s been on this food. My father in laws Bassett also is having the same issues now. Thank you for this review. I breed yorkies & sadly bought this crap. It caused issues in mine & caused severe hair loss & intestinal issues. After taking them off of this, he has started to regrow his hair & hasn’t had any issues since. I just wanted to find out if anyone else had had any issues. I’m glad I came across this. I will be letting all of my breeders know NOT to use this. When I adopted a Chiweenie 4 1/2 years ago, I had to begin finding the dry food for this very picky eater. I found Earthborn Holistic grain free while I was shopping at Planters Seed Company. Rudy took to the food quickly and then I couldn’t find any store in my area to purchase it from. After trying other brands sold locally, I eventually began feeding Rudy Purina Beneful Incredibites for th tiny sized kibbles. After reading about this food I am convinced that it has been making him sick : Daily gas with a hard, swollen belly. Gagging or vomitting sometimes. He has been loosing hair all over in little polka dots and rubs his face constantly. He is pottying in the house as if he can’t wait to go outside. For a dog that used to drink slowly & sparingly, he now licks his mouth a lot and gulps water as if he is dehydrated – a lot of it water. He has been having muscle spasms and twitches which are increasing in frequency and length. I’m afraid that he will have a convulsion one of these days. He cleans his paws constantly – more than most cats. He doesn’t have parasites or mites so I can’t blame the hair loss or stomach / intestinal problems on those. There seems to be a lot of dogs with all of Rudy’s health issues, some that have died. 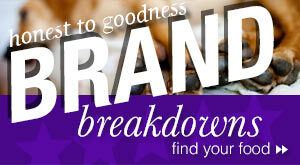 I am searching your website for good foods and also for recalls. Thank you for providing the information that I need. I also hope that more places will begin selling Earthborn Holistic. I tossed the Purina Beneful Incredibites! and am now on your list to receive “Recalls”. Did anyone check the sodium levels in the Earthborn Holistic Moist Grain-Free (tubs)? I emailed the company and am just looking for confirmation from another source on the sodium levels. I bought this food recently after reading reviews online from pet owners reference to blue buffalo (which i was feeding my dogs at the time) and then the beneiful dog food that also had issues. My dogs love this food and have had no issues, I love that it seems based on the ingredients very healthy for dogs, that being said i am always looking and checking to be sure no issues occur, as my children are grown my dogs are now like my kids and want them healthy and happy. I purchased Earthborn Coastal Catch and returned the entire bag within 14 hours. The sodium content must be out of this world! My Boston terriers drank water continuously, could not sleep and was lethargic. I could understand it if one reacted this way but all 6 had the same reaction. I can’t imagine what their kidneys must’ve endured. Salt is quite far down the list of ingredients, and there isn’t a sodium level listed. Higher protein dog and cat foods make the animals thirstier. This is a good thing, because dry food is not good for the kidneys. Wet food is best for their kidneys, but if it is not a viable option higher protein dry food is the better choice. The more water they drink, the more their kidneys are being flushed. It probably was not so much a issue of sodium content as it was the switch to higher protein content as stated below. One way to balance this is to when you feed your dog is to wet the food slightly so that they are getting that wetness or h2o with it and then give them water 3 times a day in between feedings. I have a dog suffering from peripheral vestibular disease, which has made him nauseous and unwilling to eat. He turns up his nose at just about everything I’ve offered him. So I went to a local pet supply store and got a bunch of samples to see if there was something he’d eat. He like the Earthborn Holistic Primitive Natural and Meadow Feast and gobbled up the Great Plains Feast. Ate some of the Ocean Fusion but then turned away from it. they have been thriving on it for 2 years now. I really like the Primitive formula with it’s proten value. As I see it, my dogs are not running in the wild hunting to survive, so their protein levels don;t need to be as high as Orijen or EVO. The Costal every day was a bit much for Moxie and she stopped eating it. We love Earthddborn Privitive. I have two shih tzu one female 10 year so old and a male 4 years old. The breeder recommended Earthborn Holistic puppy vantage. My dogs has not gravitate to this food. It’s been 3 weeks and I have a 25lbs bag. I mix it with the old as he suggested in the beginning. I know they are pickey eaters I have cut out their treats to 1 a day. They will eat it eventually but sparingly. What to do? I noticed you have 2 bostons, and I do also. I’m considering switching to this food and wanted to know which earthborn you use – out of the diff grain free types? And how often do your bostons poop? Mine seem to poop a lot on current food-canine cavier although they are healthy poops – just a lot of it. thanks. Ginger 1 tsp. to one c food. What type of Ginger are you feeding? powder, capsule, etc? Where do you get the Ginger…health food store? re poops….does it keep them from having soft stools? Has anyone used this food with an English bully? They have skin issues… I am trying it now! Anyone see results with earth born? 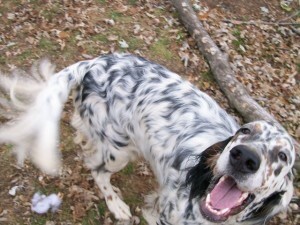 I don’t have an English Bully but I do have and English Springer that is highly allergic. He is allergic to grass, leaves, weeds, trees and is on a grain free, poultry free, white potato free diet. He is doing so much better on the Meadow fest Earthborn food than any other I have tried. We have a picky very young Lab. Is this food going to be right for her energy level? Protien Wise? My 2-1/2 year old lab was on Earthborn Holistic Grain Free bison for 2 years. She loved it but developed bladder stones so I had to take her off it. I have 7 week old akita. Are any of the earthborns formulated for large breed puppies? I have been feeding Earthborn Primitive to my dogs ever since after much research, I came upon this food. They do very well on it. I must add that I also buy other 5 star brands and usually mix 2 bags together and store it in sealed containers. I prefer to offer a variety of food to our dogs diet due to the varied nutritional ingredients in the different brands. Some of the other foods I mix with Earthborn are Natures Logic, Natures Variety, Petcurean, ZiwiPeak, etc. I also add freeze dried food to the dry alternating between Grandma Lucy’s, Honest Kitchen, Sojos, Primal etc. I have done this for the last several years. I believe since their bodies are used to a variety in their diet loose stools have never been an issue. I am not saying this would be for everyone, but it has worked for me. My dogs are very active & healthy with soft shiny coats. They get very excited when their meals are being prepared. But Earthborn has been a mainstay in my dogs diet because I feel the ingredients are superior, they have never had a recall, and since the kibble is a nice, small size, I can feed it to my 2 large and 3 small dogs. also just as important is they love the taste. They have never had reaclls or complaints.i heard a lot about the food,is aminopterin in the food? They have other foods as well. Low protein, high, and in the middle. The same goes for all the other contents such as fat, omegas…. They have all types you just have to find a rep or catalog or go to their site. I have been a staunch supporter and customer of Earthborn for years now. I have a Tibetan Mastiff and a Malamute wolfdog. The last two bags we have gotten of the Primitive Naturals have had something wrong with them. My boys will choose to go hungry before they will eat this now. They initially, reluctantly ate some and both ended up with vomiting and diarrhea. Nothing else was changes in their diet or routine. When I got them a different food so they could have something to eat, all symptoms cleared and they are fine. I am awaiting a call back from the plant manager to try and figure out what is wrong. I don’t want o put people off from this food. It is typically very good quality with an excellent safety record. Just be cautious and “listen” to your dogs. I have been buying this dog food for years. Why is there never any coupons???? Some manufacturers just don’t offer coupons. A lot of the time your only chance at a deal is to go through an online store who is offering price savings to move inventory or as an incentive to sign up for their auto-ship program in the case of Chewy.com. 20% off is nothing to scoff at when it comes to a bag of food that runs $50+. That comes out to the same as a $10 coupon! Elizabeth if you go to Earthborns website you can register and they will send Monthly emails usually sent out on the 10th of each month. They have specials and you will receive a $3 off coupon that can be duplicated. I’ve been feeding my dogs Earthborn since I got them. I tried using their cat food but my two cats seemed to throw up more. I have them on Hill’s Ideal Balance and it is quite expensive. I have one cat this is overweight so I use the slim and healthy formula. I am not really fond of Hill’s but they do not seem to throw up at all on this food. Any suggestions on other foods that might be better for them? Thanks! I love the Earthborn Holistic grain free Primitive for my dogs who are Pit mixes and they love it. I have been feeding it to them for well over a year now but you must remember that dry food should be mixed with the wet food as they are meat eaters and it also really helps with their digestive system to run smoother. I get mine from Tractor Supply out here in Northern California. I only wish Tractor Supply would also carry the canned food and because they do not I have to buy canned Blue Buffalo to mix it with. You really need to start advertising out here on the West Coast! I try this for my cat.he wouldnt eat much of it but when he did he got sick.shakes.mouth issues.im put him on another brand.somebody said some of vitamins came from china.dont know. I have used the Primative Natural. Made my dog drink a huge amount. Researched it and found the ash levels are a very high 12 per cent. I won’t feed anything over 7 per cent. All the Earth born foods are fairly high in ash Everyone worries about grains and fillers but ash is the true filler in my opinion High ash can lead to kidney and other problems. I think this is the worst of the Earthborn foods. . I have been feeding my German Shepherd this for 2 years. We give her the Weight Control formula and she has done very well on it. Our dog has had a reaction to the dry fish recipe…she started scratching her belly and legs and hasn’t stopped yet. We went back to her old food but really wish I knew what she was allergic to. Would like to get her to a better food. We just switched out golden Georgia to this food. We previously have fed her Eagle pack adult large breed for about 5years with no problems. However, the last bag we had –she didn’t want to eat. Slowly at first she started skipping meals then refused completely. After reading other stories about recalls I didn’t force her to eat it. I made her chicken rice and did a lot of research online about dog foods. I remembered a year before that I talked to an owner of a golden service dog who swore by the Earthborn brand. Her dog had the softest hair! She said it was from the food. So, I bought a bag and used slowly with the Earthborn Natural grain free food. It is now day 6 and my husband and I can’t believe the results! Her hair is already softer and her coat looks better. Her tail has always been somewhat coarse but now is softer! She loves the food! She gets up in morning wanting to eat which she didn’t before with that last bag of food from Eagle pack. As I do think Eagle is a good food and think we just got a bad bag? I can’t help love the Earthorn. Excited to see how our Georgia does the longer she’s on it! Just started feeding my three small breed the Earthborn grain free with lamb. Meadowland I believe. They seem to like it. Also bought the moist food to mix. I was dismayed to read that it is a product of Thailand. It might be ok but I don’t feed my pets products that came from other countries. With the exception of Canada and New Zealand. Can you explain why this is the case. My 4 year old French Mastiff has been on Earth born since he was a puppy. We had to switch to the Great Plains grain free at one point because of allergies. When I switched from another top rated brand when he was a puppy to Earth Born his breath and the smell of picking up after him improved noticeably. I free feed him and he looks great!! I’ve used to give my dog Blue Diamond but had stool issues. I switched to Large Breed Holistic and my German Shepherd loves it.She gets super excited when I bring it home and paws at it when hungry. Since my dog isn’t a rescue I’m aware of it’s pre-existing conditions (In which there are none 🙂 ). I’ve not seen or been told from vet of any problems related to this food and Highly Recommend it to others. I also never give my dog bought treats. She loves baby cut carrots. We love this dog food, and so does our dog, and I want to continue purchasing, however, the packaging leaves a lot to be desired. Ea time we attempt to open a bag, the food goes flying. The pkg needs a way to seal the food after ea feeding, and a better way to open the bag. I have been feeding my Cavalier Eartborn Coastal Catch for small breeds and she is only 3 years old and has a pancreatitis attack. The only other food she gets is a small amount of cooked chicken or lamb. Wondering if the dry food has caused the attack. 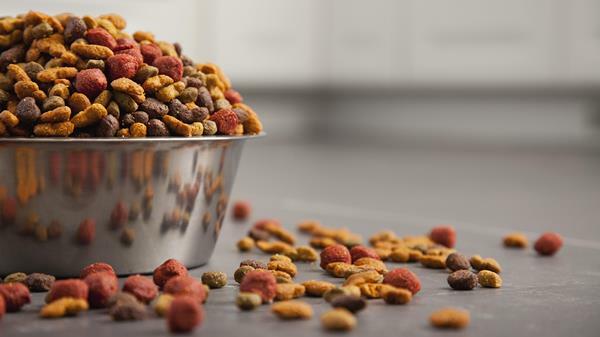 Dogs are not natural eaters of fish so why is it in dog food?